The 2018 McAllen, Texas, Regional will be held Sept. 22 at McAllen Memorial Stadium. In 2017, Dripping Springs won a decisive victory, sweeping captions in prelims and finals. This year’s McAllen Regional is set up to be the toughest yet. With eight returning finalists and three new groups that are essentially locks for finals, we expect to see at least one returning finalist pushed out of the night show. Claudia Taylor Johnson performs at the 2017 Austin Regional on Sept. 23, 2017, at Kelly Reeves Athletic Complex. // Photo by Kevin Anderson // Used by permission. Of course, the champion title will go to reigning San Antonio Super Regional champion Claudia Taylor Johnson. Since the school’s opening 10 years ago, CTJ has been consistently one of the best bands across Texas and the nation alike. Their show this year promise to demonstrate the same stamina and demand we’ve come to love from this band. Behind Johnson is a group of four bands competing for two remaining medals. Pioneer has been a medalist at McAllen the past two years, earning third place just last season behind Roma, another band who will be returning to defend their medalist position. Both bands should be able to retain a spot in the top half of finals, but will face two challengers from several hundred miles north. Brazoswood is a former regional finalist, earning spots in finals at several previous Conroe Regionals. Seven Lakes edged out Brazoswood at both Conroe and San Antonio last year, and will be looking to earn a medal here in McAllen. 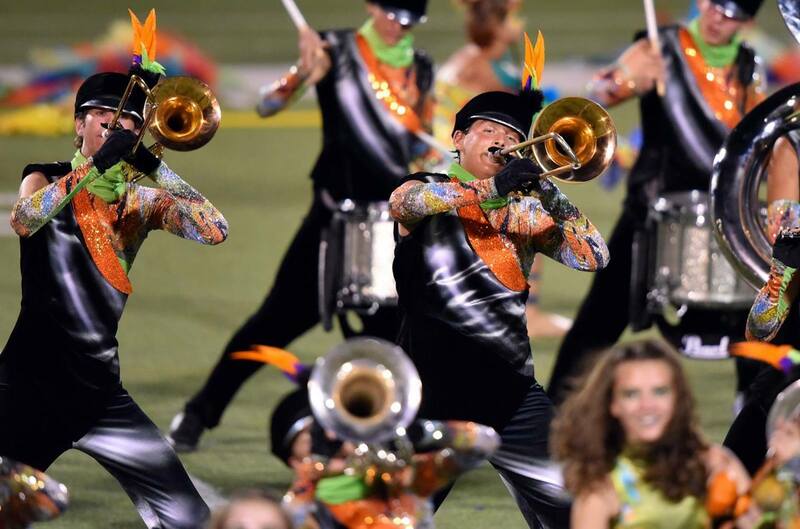 Now is a good time to point out that crazy things happen at McAllen each year, with the peculiar pattern of one band jumping from out of finals to second place the next year. Pioneer jumped from 19th in 2015 to 2nd in 2016, and Roma jumped from 13th in 2016 to 2nd in 2017. Six returning finalists and another two previous McAllen finalists will be battling several new-to-McAllen groups for spots in the bottom half of finals. That’s around ten groups in the running for just five spots remaining. Homer Hanna has the most consistent record of these groups earning fifth place in 2015 and 2016 and fourth place in 2017. Edinburg North similarly finished eighth in 2015 and 2016 before jumping to fifth in 2017. Juarez-Lincoln, John B. Alexander, Sharyland, and Edinburg all made their premieres in finals at McAllen last year, earning sixth, seventh, ninth, and tenth place, respectively. But they won’t be guaranteed a spot in finals this year. Lopez and Hidalgo both made finals at McAllen in 2016, but slipped out of finals last season. We’re excited to see if they’re able to break back into the top 10 this year. Westfield has no history of performance at McAllen, but is a recent regional finalist as well as the 2003 grand national champion, and could with a good showing find themselves in finals. Ultimately, this year’s McAllen Regional is a much tougher competition than previous years, and while we have some ideas based off past results, it’s very difficult to predict. Music: John Bell, Glenn Fugett, Don Jarmillo, and Kevin McNulty. Visual: Chris Moss, Juno Orefice, and John Turner. They withdrew from the show after we had already released predictions.